This page contains information about Large Anthelid Moths that we found in the Brisbane area, Queensland, Australia. 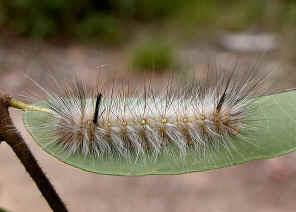 We find this large hairy caterpillar on mid summer. 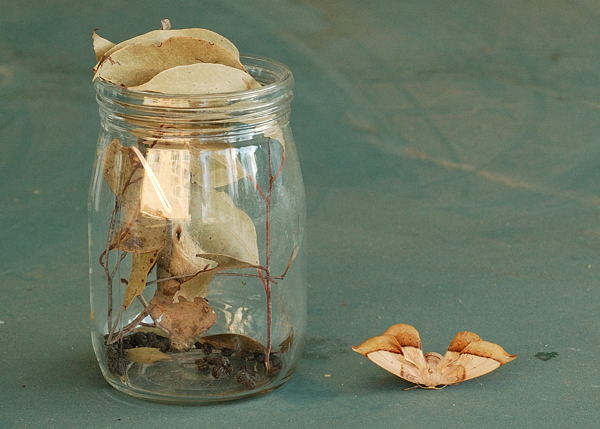 We took it home and kept it in a large jar. The caterpillar turned into a cocoon a few days later. The moth came out in about three months. The caterpillar is brown in colour with white hairs, two extra long tufts on the thorax which are black in colour. 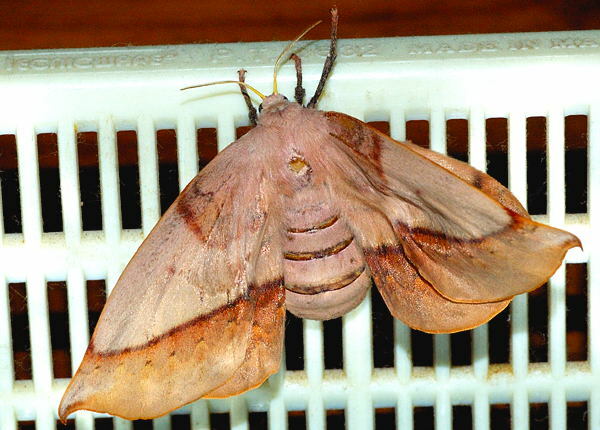 There are two rows of yellow dots on the back of its body. In summer, the caterpillars are fully grown and ready to pupate. 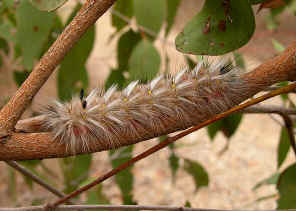 They spin cocoons usually on stems or under loose bark of gum trees. Notice the bristles/hairs outside the cocoon in the above picture. 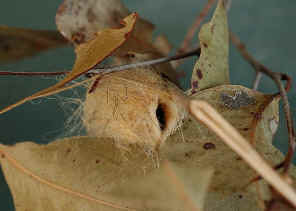 As the caterpillar turns into a pupa, the bristles/hairs are pushed through the walls of the cocoon from the inside. 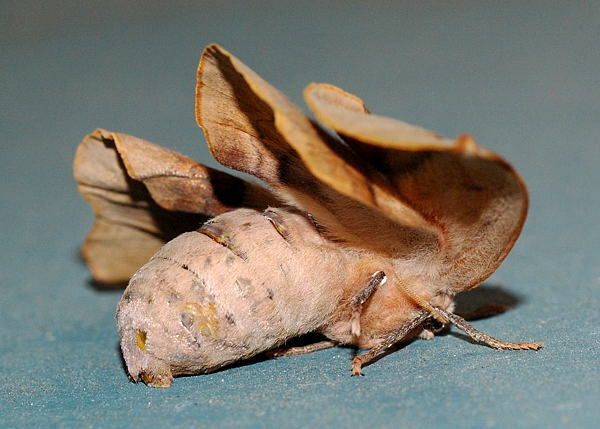 The projecting bristles/hairs protect the pupa inside the cocoon in the same way that they protect the caterpillar. The moth is brown in colour with snout body and furry thorax. 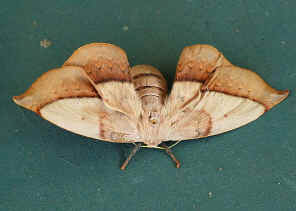 There are the dark brown lines across each wing. 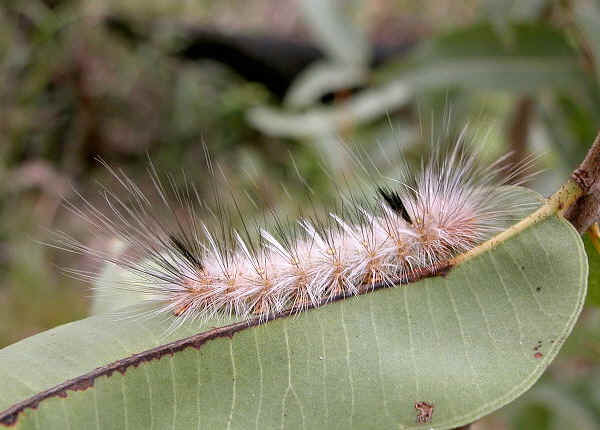 Caterpillars found on gum tree leaf in mid summer. Last updated: March 31, 2009.